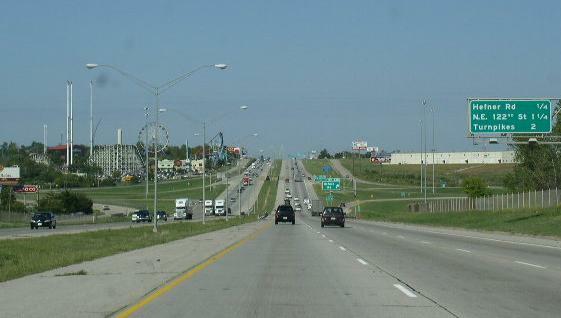 Interstate 44 runs across Oklahoma in a angle. This angel runs from the northeast cornor to the southwest cornor. This enters the state from Missouri near Peoria, and from Texas, near Randlett. I-44 runs along several of the states turnpikes. 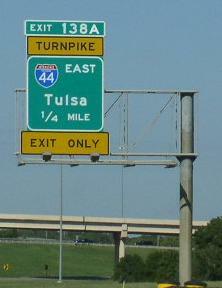 Those turnpikes include the Will Rodgers, Turner Turnpike, and the H.E. Bailey Turnpikes. While in Okalahoma, I-44 is multi-plexed. ...Oklahoma State Route 66, from Catosa to the Tulsa/Creek County Line. ...U.S. Rt. 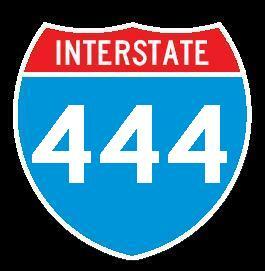 412, from Catoosa to Tulsa. ...Oklahoma State Route 66, at Oklahoma City. 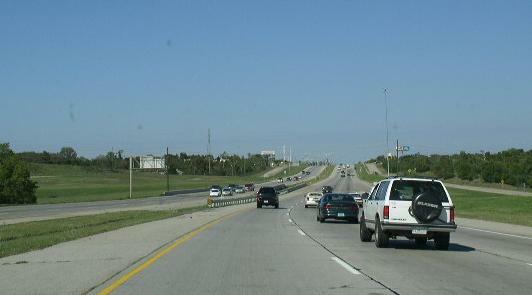 ...Oklahoma State Route 3, at Oklahoma City. ...U.S. Rt. 62, from Oklahoma City to Newcastle. 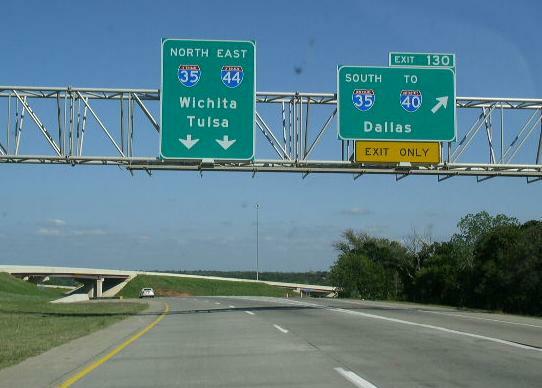 ...Oklahoma State Route 37, from Newcastle to Oklahoma City. ...U.S. Rt. 62, from Fort Sill to Lawton. ...U.S. Rt. 277, from near Fort Sill to near Lawton. ...U.S. Rt. 281, from near Fort Sill to near Lawton. ...U.S. Rt. 277, from near Randlett to the Texas/Oklahoma State Line. ...U.S. Rt. 281, from near Randlett to the Texas/Oklahoma State Line. Info on the Turner Turnpike. 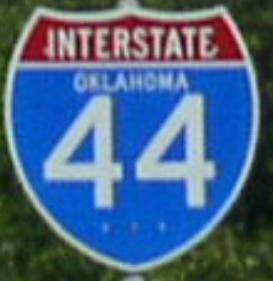 Interstate 44 crosses the following interstates in Oklahoma. 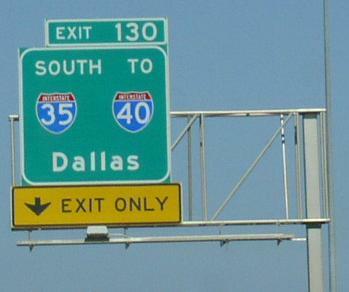 Guide markers on NB I-35/EB I-44. NB I-35/EB I-44 at their split. Milage sign on EB I-44. 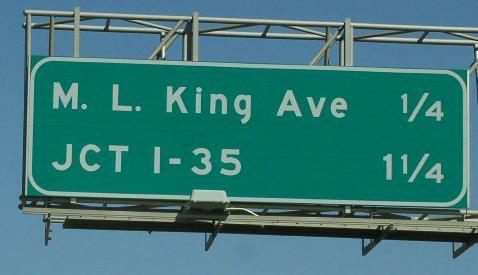 Overhead signs on NB I-235 at I-44. 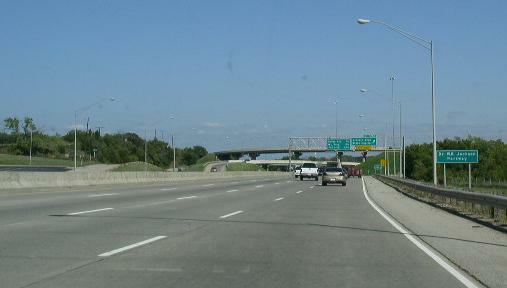 Interstate 40, at Oklahoma City. 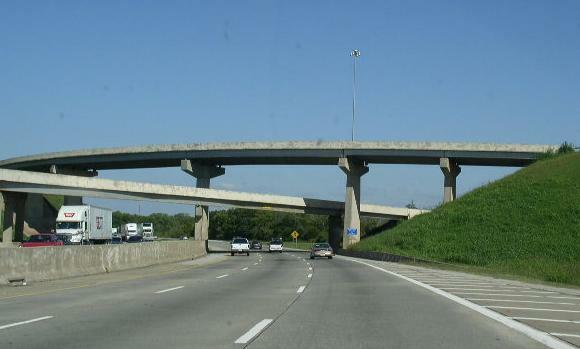 Branches of I-44 in Oklahoma. 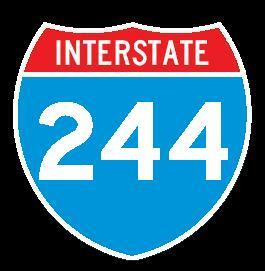 EB I-235, just east of the I-235 interchange. EB I-44 at the Lincoln Blvd. stack interchange. 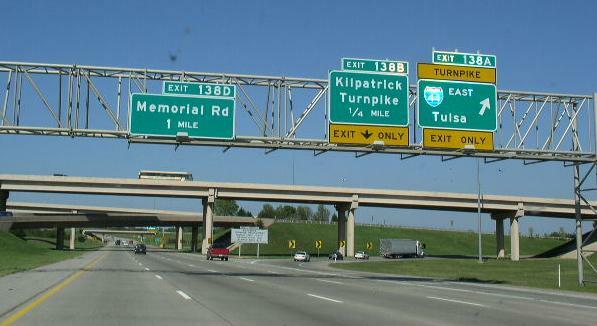 NB I-44/EB I-35 north of their interchange in Oklahoma City. NB I-35/EB I-44 near Hefner Road.